UPDATE 2/14: I was interviewed by the Australian Broadcasting Corp. about the latest development in the Kapoor case. The National Gallery confirmed to the ABC that they have contacted the Indian government to “discuss avenues for restitution” for the statue, which it now admits was likely stolen. Here’s the story and the interview. 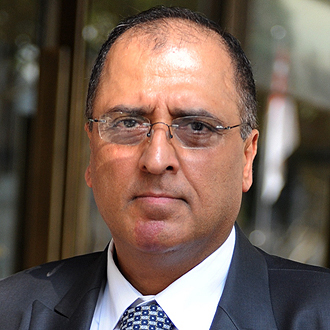 The National Gallery of Australia has filed a $5 million lawsuit against Manhattan antiquities dealer Subhash Kapoor alleging the dealer and his staff committed fraud when they sold the museum an 11th century bronze sculpture of Shiva that had been stolen from an Indian temple. We first revealed last June that the NGA’s Shiva had been stolen from the Sivan Temple in Tamil Nadu temple. Our post included this photo – sent to Kapoor by an alleged smuggler in 2006 – showing the Shiva soon after it was stolen. 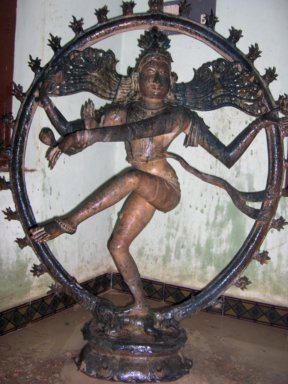 We published a copy of the search certificate Kapoor obtained from the Art Loss Register, and linked to the Tamil Nadu Idol Wing, which detailed its investigation of the Shiva’s theft in 2006. The NGA’s response at the time: “there is yet to emerge any conclusive evidence.” In its complaint filed last week, the NGA states that a “concrete development” only took place in December, when Aaron Freedman, Kapoor’s gallery manager (above), pled guilty to six criminal counts, including forging provenance. The NGA lawsuit, to our knowledge, is unprecedented. American museums and private collectors have returned hundreds of looted objects to Italy, Greece, Turkey, India, Cambodia and other countries in recent years. In nearly all those cases, dealers had provided standard warranties guaranteeing good title to the objects. And yet not one museum or collector had filed a similar lawsuit…that we know of. Why not? For one thing, it will likely be difficult to collector from Kapoor, who is facing criminal trial in Indian and an arrest warrant in the United States. Perhaps more importantly, such a lawsuit could expose claimants to extensive discovery about their due diligence and possible counter-claims from dealers that the buyers knew full well the objects being purchased had been looted. Awkward. If Kapoor defends the NGA lawsuit, the Australian museum could face these awkward questions. We know, for example, that NGA Director Ron Radford (left) personally met with Kapoor in his New York gallery. Might we hear Freedman or Kapoor’s version of what exactly Radford knew at the time? Needless to say, this sounds an awful lot like optical due diligence. Meanwhile, Kapoor’s criminal trial in India, which was due to begin this week, has been delayed until February 21. It will likely reveal additional details about these and other objects. This entry was posted in News and tagged Aaron Freedman, Art of the Past, National Gallery of Australia, Ron Radford, Shiva, Subhash Kapoor. Bookmark the permalink. cant imagine anything worse than an indian prison, but since hes rich i imagine he gets special treatment. If the article is true as it appears so, we hope that you would take immediate steps to repatriate those stolen arts that you obtained from Mr. Kapoor (and or anyone else) back to India where they rightfully belong. Not doing so would involve ANG as a party to plundering of cultural treasures from another country. It is not right and returning those priceless artifacts will be the right thing to do. We hope that you will consider this and take steps to correct such mis-deeds by someone like Mr. Kapoor as soon as possible. This will enhance the reputation of ANG tremendously.